Wash and peel: ½ cucumber, cut lengthwise and thin sliced into half moons. 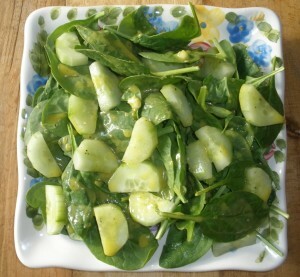 Arrange spinach on plate with cucumber on top. Serves 3 Prep time 15 min.